By now, you’ve probably talked to a few people who have opted to go the route of calculating their macros rather than counting calories. With all sorts of diet and nutrition regimens out there, it can get hard to keep up — and the phrase “calculating macros” may sound like a foreign language. So, let’s back up and focus on what macros are, starting with their name: “macros” is short for macronutrients. Nutrients are substances used by organisms for bodily functions, growth and energy, Dr. Luiza Petre, a board-certified cardiologist, tells SheKnows. As the term implies, macronutrients are needed in large amounts. For humans, there are three macronutrients necessary for survival: proteins, carbohydrates and fats (also known as lipids). “In calorie form, each macronutrient provides energy that is needed for everything from maintaining circulation, growth and development to giving enough energy to the brain for cognitive function,” Petre explains. Here’s a look at what each macronutrient means for your diet. Protein foods are comprised of amino acids, which are sometimes called “the building blocks of the body.” Protein provides 4 calories per gram. 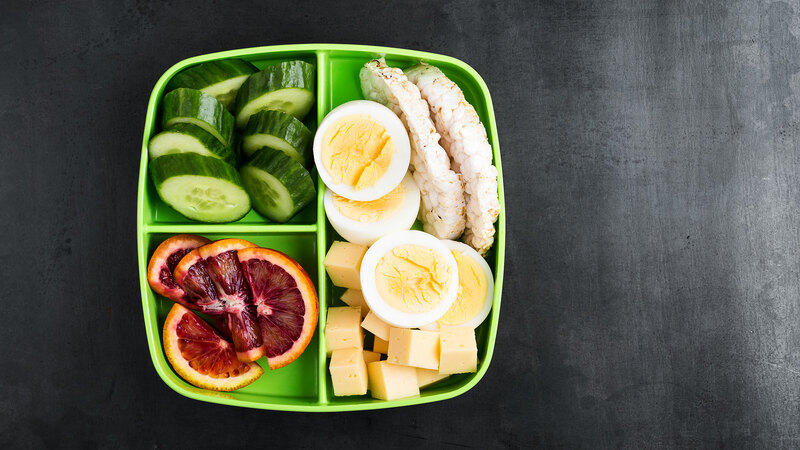 Kelly Krikhely, a registered dietician, tells SheKnows that it’s key to eat lean proteins like fish, low-fat yogurt, skinless chicken and eggs. She also encourages experimentation with plant proteins such as tofu, edamame, beans, nuts and seeds. More: What Is Protein & Why Is It So Important? Carbohydrates also provide 4 calories per gram, Sarrett explains, adding that carbohydrates are your body’s main source of energy. Carbs are the macronutrients most easily broken down by the body, and Sarrett says you need them in the largest quantities out of the three macronutrients. Contrary to what its stigma might lead you to believe, fat is actually essential to a healthy diet. Petre explains that fat plays key roles in controlling your appetite and in disease prevention. “[Fat] regulates hormone production, protects vital organs, regulates temperature, fuels the brain and helps with anxiety and depression,” she says. Fat provides 9 calories per gram. Similarly, Krikhely emphasizes that fat is essential in order for your body to function each day. What you’ll want to pay attention to is the type of fat you’re consuming. She adds that the most up-to-date recommendation is to consume mono and polyunsaturated fats, limit your saturated fat intake and avoid trans fat. Butter, cream, fatty meats and processed junk food are all sources of saturated fat. So, there you have it: macronutrients. If you find tracking your macros helpful for healthy eating, great. If not, at least you’ll know what you’re talking about the next time someone drops this buzzword in conversation.